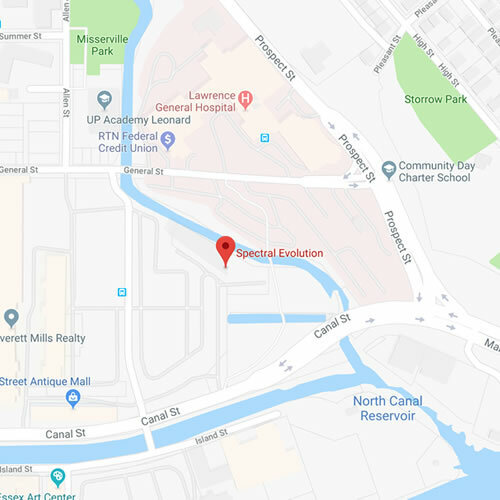 Unlike other metals rare earths are abundant but not in minable concentrations. Most rare earths are found in uncommon types of igneous rocks, especially alkaline rocks and carbonatites. Minerals that can contain rare earths include euxenite, bastnaesite, xenotime,monazite, and allanite. Bastnaesite is a rare LREE bearing carbonate mineral. It is closely related to the mineral parisite and can sometimes replace crystals of allanite. Allanite belongs to the epidote mineral group and is one of the more common LREE bearing minerals in igneous rock, but rarely in minable quantities. Allanites can be found in granites, syenites, diorites, and associated pegmatites. Allanite and bastnaesite are part of the EZ-ID available libraries. The oreXpress and EZ-ID mineral identification software, are well- suited for exploration geologists looking for LREE deposits. 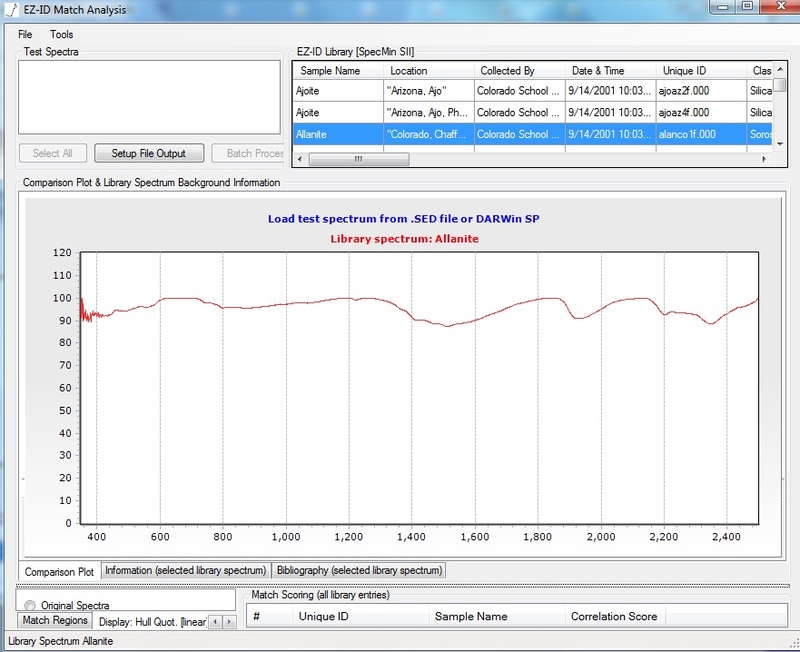 Every oreXpress geological spectrometer includes our DARWin SP Data Acquisition software and is available with EZ-ID and the Custom Library Builder Module. 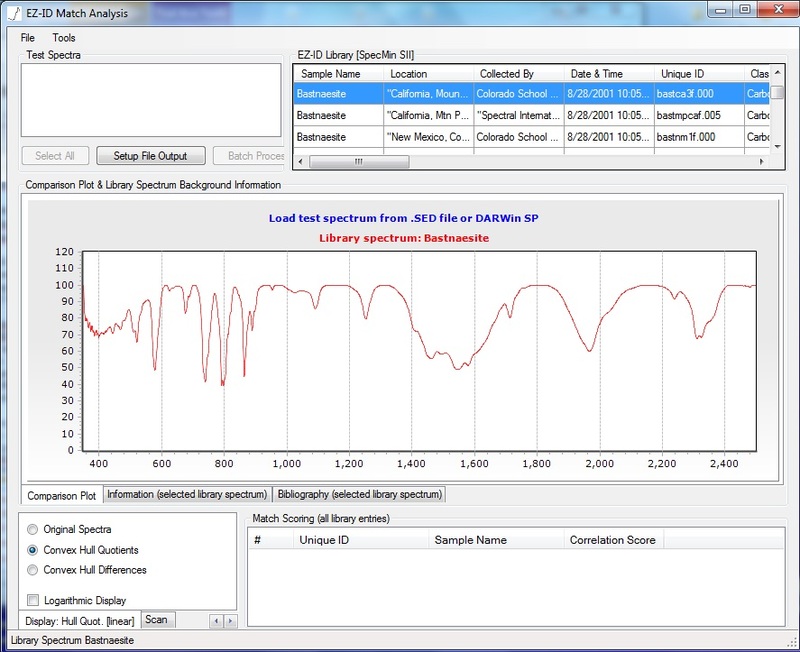 EZ-ID allows you to compare your target sample with a known library of mineral spectra. 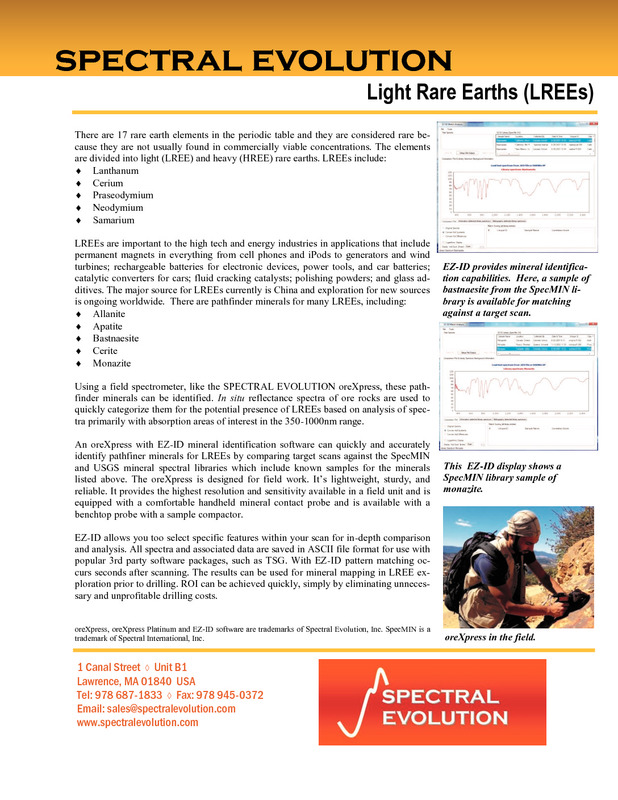 EZ-ID comes with the USGS spectral library and is available with the GeoSPEC library and SpecMIN library from Spectral International. An allanite library sample from EZ-ID. EZ-ID matches your target scan to library samples like this. A basnaesite sample from the EZ-ID spectral libraries.